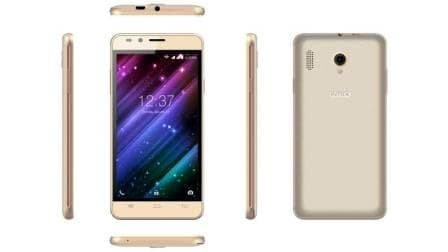 After an interval of over a month, Intex Technologies has launched a new smartphone called the Cloud Style 4G. As the name suggests the Intex Cloud Style 4G is a 4G smartphone with Voice over LTE support. This means you do not have to switch on your mobile data connection separately to make voice calls over a 4G network. The Intex Cloud Style 4G sports a 5inch HD resolution IPS panel display with pixel density of 196ppi and no Gorilla Glass protection. The Intex Cloud Style 4G has an unspecified chipset that houses a 32bit 1.3GHz quad-core processor, Mali 400 MP2 GPU and 1GB of DDR3 RAM. The internal memory of the Intex Cloud Style 4G stands at 8GB out of which 5GB is vacant for the user. For additional storage, the Intex Cloud Style 4G supports microSD cards of up to 32GB. When it comes to cameras on the Intex Cloud Style 4G, the smartphone has sought help from Samsung for the 8MP rear lens and a nondescript company for the front 5MP camera. The rear camera has a LED flash. The Intex Cloud Style 4G is powered by a 2500mAh battery that is claimed by the company to provide 10 hours of talk time on 2G and 5 hours of talk time on 4G. The standby time on GSM is up to 400 hours and on LTE is half of the above-quoted figure. When it comes to connectivity options the Intex Cloud Style 4G has Wi-Fi, microUSB and Bluetooth along with GPS navigation. The Intex Cloud Style 4G houses gravity, proximity and light sensors. The company is throwing in a screen guard and a protective cover for free with every handset. The Intex Cloud Style 4G will be sold in Champagne and Grey colour variants for Rs. 5799 in online as well as offline retail stores.